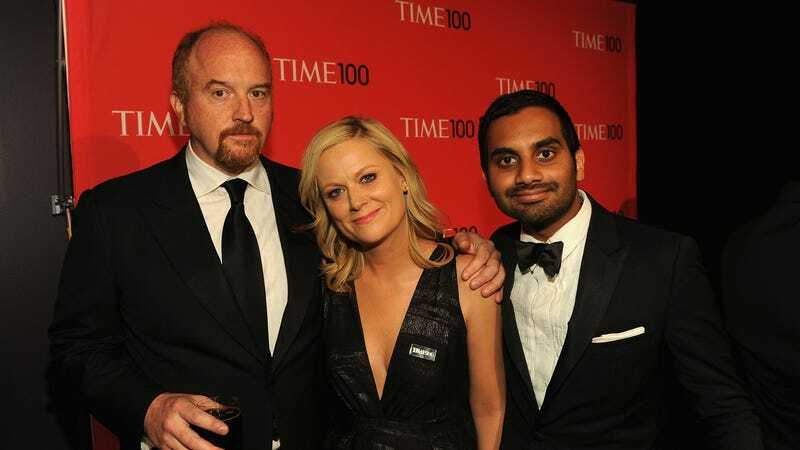 As the allegations of sexual misconduct against Louis CK finally made their way from “open secret” to just plain “open” today—courtesy of a new piece in the New York Times, which saw five women allege that the stand-up star masturbated in front of them or while talking to them on the phone—a number of people are being forced to reevaluate their personal and professional relationships with the comedian and actor. Prominent among them: Parks And Recreation and The Good Place creator Mike Schur, who hopped on Twitter today to apologize for employing CK on his former show, despite knowing about the rumors and allegations against him during at least one of his appearances. CK appeared on six episodes of Parks And Rec, giving a much-praised performance as Leslie Knope love interest Officer Dave. Dave’s last appearance was in the 2012 episode “Dave Returns,” which aired well after rumors about CK’s alleged behavior had begun to circulate.